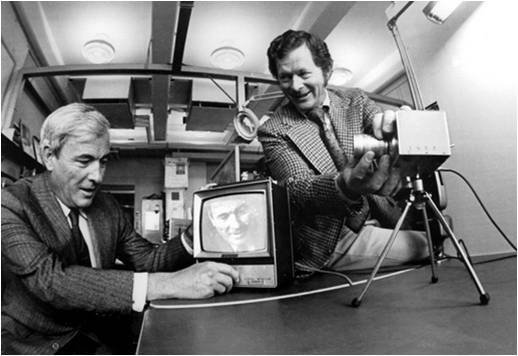 In 1969, George Smith and Willard Boyle, seen above, set out to create a new type of computer memory. They were also interested in developing a new type of camera for video phones. The result of their work was the charged coupled device (CCD). All digital cameras sold today use CCDs or similar electronic image sensors to record images. Smith and Boyle were awarded the Nobel Prize in Physics in 2009 for their work on CCD technology. Kircsh, Russell, Willard Boyle (Left) and George Smith (Right). Lucent Technologies. Accessed: 23 July 2010.